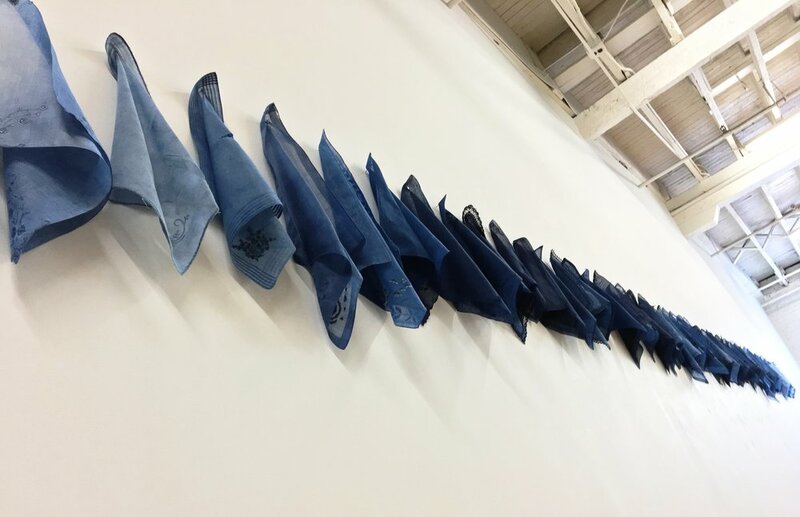 140 Days: 140 indigo hankies are complete! It took longer than I thought, however, they are finally done! My gratitude goes out to my friends and supporters who contributed hankies. I've installed a third of them on my studio wall in order to make images to send to potential venues. I hope to have this project complete and in place for Mental Health Awareness month (April).